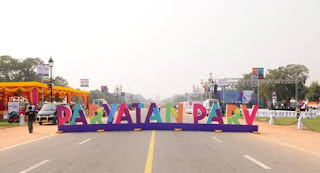 The Paryatan Parv will have three main components as like last year, viz. Dekho Apna Desh, Tourism for All and Tourism & Governance, this year also Paryatan Parv shall focus on domestic tourists especially to sensitize youth. The Paryatan Parv shall conclude with the World Tourism Day celebrations on 27th September 2018.